Woollyhugs > Latest.. > Auction > Spring Auction 2019 > Spring Auction. Number 91. Foxy! Oh look! Too adorable  Love the striped jumper and red trews. 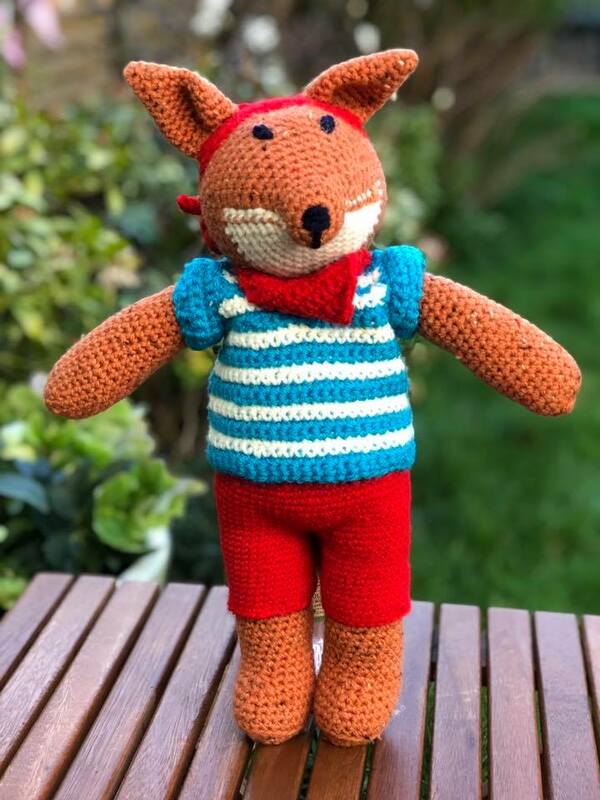 It’s all too cute Foxy stands approx 36cm tall and is looking for a forever friend for adventures. Oh look! Too adorable Love the striped jumper and red trews. It's all too cute Foxy stands approx 36cm tall and is looking for a forever friend for adventures. item name : Spring Auction. Number 91. Foxy!